On top of the hill at the centre of Birmingham a neo-roman landmark based upon the Temple of Castor and Pollux has stood for 174 years overlooking the city. Birmingham Town Hall has recently and painstakingly been renovated to the tune of £35m to restore it to its past glories, including laying a beautiful wooden dance floor big enough to take hundreds of dancers. It has historically been accustomed to receiving political movers-and-shakers from Gladstone to Thatcher but last night it was the setting for an absolute masterclass in melding Latin rhythms with British soul by the band at the forefront of the British salsa movement, the Alex Wilson Salsa Orchestra, who played to a sold-out venue full of salseros intent on dancing till they had nothing left to give. Switch off the telly, take off the phone, apologise to the neighbours and turn the volume up as loud as you can get away with! In a one hour 40 minute set that featured Alex’s unique brand of salsa dura, r’n’b, soul and gospel they delivered an exuberant, energy-charged performance that would set the venerable building’s foundations throbbing to a rock-solid tumbao, and the band’s singers raising the roof from its famous romanesque columns. Alex Wilson comes across backstage as vibrant, warm and very engaging. Onstage he is a true bandleader, never hogging the limelight but giving his musicians air to breathe and allowing their individual skills to shine out as they interpret the rich arrangements of the tunes. In fact it reminded me of New York piano giant and bandleader Eddie Palmieri, never dominating but always an ineffable presence. Resplendent in his trademark cream tux, Alex led from the side - standing up to lean over the keyboards and exhort his orchestra to new heights, beaming with pleasure as they responded and often signalling off-the-cuff arrangements in the middle of a number if a particular singer or soloist was on a roll - and roll they did, squeezing every bit of emotion out of each song, driven by the powerful musical machine behind them and egged on by a packed dancefloor of salsa dancers. 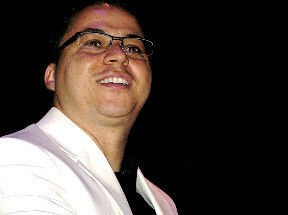 The concert was one of just four in the UK to launch his latest album “Salsa Con Soul” (for a full, in-depth, track-by-track review search under www.worldmusic.co.uk). 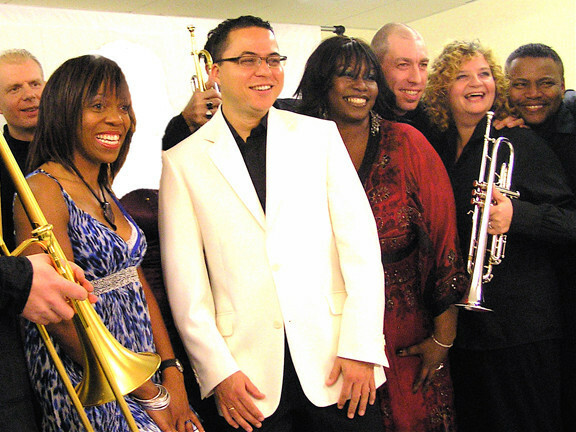 London and Leeds had already hosted Alex and the band, but for Birmingham’s night salseros poured in from all over the Midlands, the Marches and the North to what was billed as a Salsa Ball. At first I was apprehensive at the promoter’s desire to make it a black tie event - stiff shirts, dickie-bows and salsa have never made easy bed fellows in my books - but gradually the men overcame their natural inhibitions when stuffed into penguin suits (in no small part due to letting go to the music and the dance) and as for the ladies . . . Well, what can I say? A ball is a bit like a wedding - who cares what the groom looks like as long as the bride looks stush and feels a million! And so they did. Gorgeous. The band was made up of Alex on keyboards, Simon Edwards on bass, Colombian Emeris Solis on congas, Dave Pattman (one of the UKs most prolific and respected session men) on bongo and campana, Italian Davide Giovannini on timbales (and a great singer to boot), and a horn section made up of Steve Dawson and Annette Brown on trumpets and Trevor Mires and Paul Taylor on trombones. 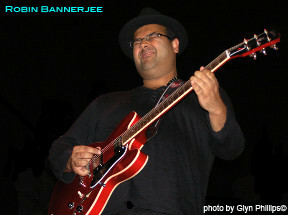 There was also a special guest appearance from guitarist Robin Bannerjee (Jazz Jamaica and Amy Winehouse). 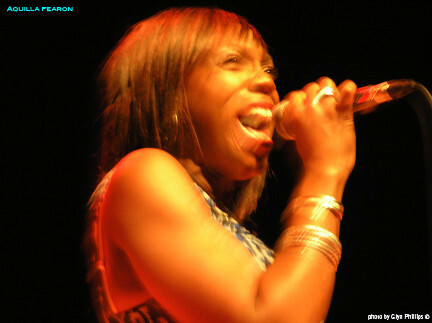 Lead and backing vocals were equally shared out between the three singers: Aquilla Fearon, Elpidio Caicedo and Naomi Phillips. 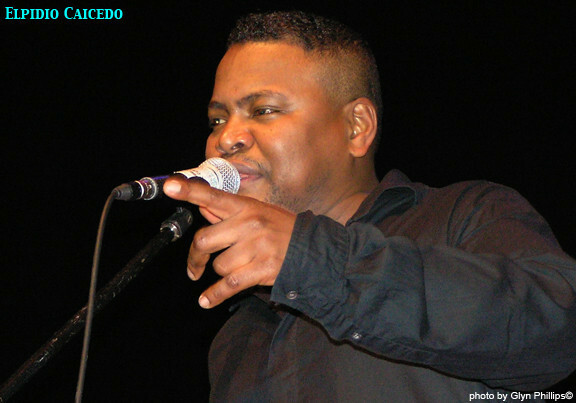 The irrepressible Elpidio (from Buenaventura, Colombia) handled his vocals on songs like “Sabrosón” and “Mi Buenaventura” with equal amounts of verve and panache, but still letting his cheeky personality bubble through. 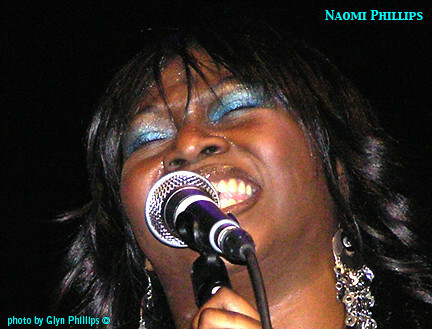 Aquilla Fearon and Naomi Phillips might be ‘local girls’ geographically (Dudley and Nottingham respectively) but be in no doubt: these two are world-class singers! The onstage chemistry between all three singers was palpable and infectious and was the catalyst for the incredible ‘feelgood’ factor that rippled out from the stage and through the Town Hall. This was a front-line that were clearly loving every second they were up there, bouncing off each other and rocking the crowd from on high! Their presence was such that at times you forgot just how talented the rest of the band were - not least Alex Wilson who delivered some absolutely blistering solos and some heavyweight piano vamps (especially during “Antonio” and “A Guarachar Con Alex”). If he plays like that for salsa - how on earth does he raise the bar for himself in latin jazz? "The rest of the world can start queuing now . . . "
There were many great solos from individual musicians during the night, but I must mention Davide Giovannini’s electrifying timbales and Steve Dawson’s searing trumpet as very much hitting the spot as well as special guest Robin Bannerjee on guitar for two numbers. The overall sound in the Town Hall was well balanced, but my only criticism is that conguero Emeris Solis could have done with a little more presence in the mix, which sadly meant his talents weren’t appreciated as much as they should have been down on the floor. So what else can I say? 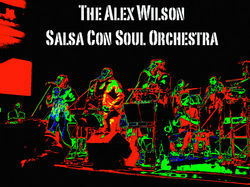 If you get the chance to see the Alex Wilson Salsa Orchestra - GO AND SEE THEM! 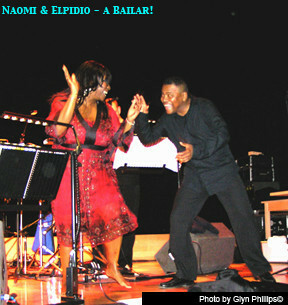 They are absolutely at the forefront of the European salsa scene and deserve to go globally massive. As I’ve said before, the rest of the world can start queuing now . . . They have one gig left of this launch tour - 21st November at the Jazz Café in London. Check www.alexwilson.net for more details. If you can’t see them live, then at the very least BUY THE NEW ALBUM: “Salsa Con Soul” (available on Amazon) and take a little bit of last night’s magic home with you.